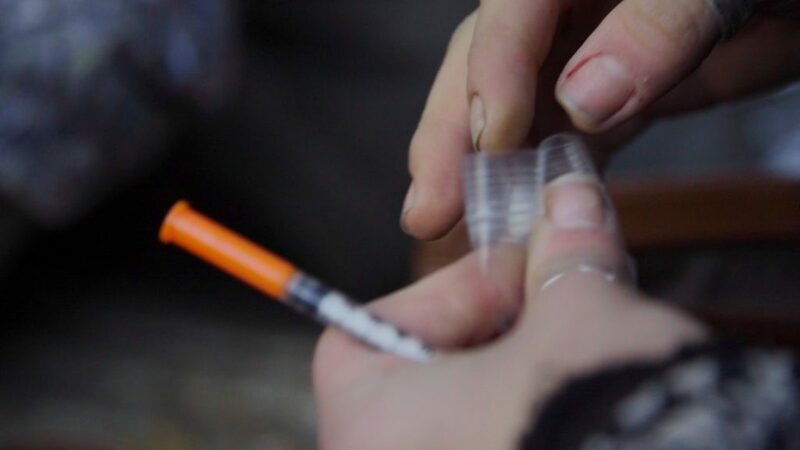 A still from FRONTLINE's "Chasing Heroin." The foremost recommendation from a commission established by President Donald Trump to address the opioid crisis spiraling across the United States was that he declare the epidemic a national emergency. “With approximately 142 Americans dying every day, America is enduring a death toll equal to September 11th every three weeks,” read the interim report released by the Commission on Combating Drug Addiction and the Opioid Crisis on Monday. The bipartisan commission, which is led by New Jersey Gov. 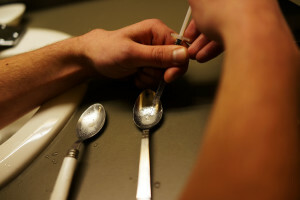 Chris Christie, said that the declaration of a national emergency would allow Trump to leverage the executive branch and federal agencies to combat an addiction epidemic that was linked to more than 33,000 overdose deaths in 2015, the last year for which data was available from the Centers for Disease Control and Prevention. Declaring a national emergency could also help establish federal incentives to improve access to treatment with the help of medications like methadone, buprenorphine or Vivitrol, said Bertha Madras, a member of the commission. She noted it would enable the Trump administration to require education on the proper prescription of opioids for medical professionals through the Drug Enforcement Administration. As FRONTLINE reported in the film Chasing Heroin, the roots of the current crisis can be traced back to the overprescription of addictive opioid painkillers over the last two decades. “I do think there’s opportunity that this declaration can summon the resolve and resources of individuals within the federal government to act and act very quickly,” said Madras, a professor of psychobiology at Harvard Medical School. From Madras’s perspective, the most urgent matters at hand are saving people from overdose deaths, and figuring out treatment options. “Just handing out Narcan [an overdose reversal drug] saves people’s lives, but that’s not a public health policy. It’s like leaving a person with a heart attack in a shopping mall. You apply the paddles, you revive them, and you just let them lie there and walk away,” Madras said. “And you know that a person who’s had a heart attack is at very high risk of having one again.” Overdoses are the same, she noted. “I do think the idea of declaring this a public health emergency is actually something the administration should seriously consider,” said Michael Botticelli, the former director of the Office of National Drug Control Policy under the Obama administration. “It’s one more tool in the toolbox for the federal government to look at calling attention to this significant health issue, and perhaps providing a level of either funding or initiatives that might [normally] take a much longer time to enact,” Botticelli said. Botticelli, now the executive director of the Grayken Center for Addiction Medicine at Boston Medical Center, said that while he appreciated the recommendations in the report, it was silent on the role that the expansion of Medicaid under the Affordable Care Act played in providing access to treatment, and therefore the importance of preserving the ACA. “People need access to comprehensive medical care and without that other initiatives are going to be largely meaningless,” he said. A final version of the report is expected to be sent to the president later this year. In the meantime, five states — Arizona, Florida, Maryland, Massachusetts and Virginia — have already declared states of emergency in response to the opioid crisis, while Alaska has issued a disaster declaration. Can the Death Penalty Actually Stem the Opioid Epidemic? Trump's Opioid Commission Recommends Drug Courts. How Do They Work?